Fantastic Find Friday Take 3! Hey plankton hunters! 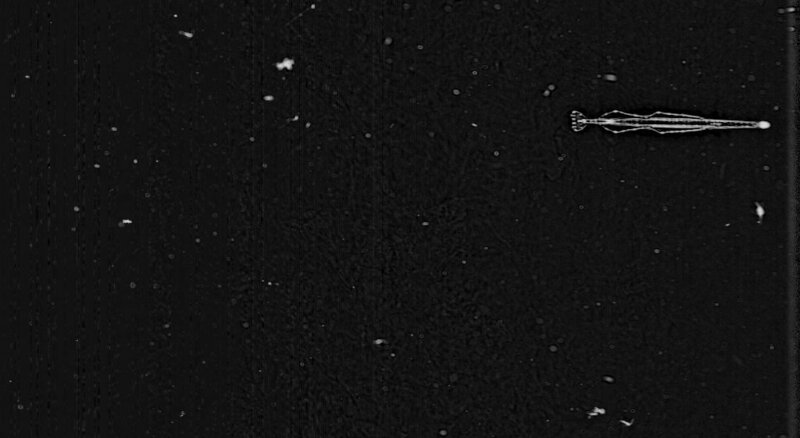 Welcome to our 3rd round of Fantastic Find Friday here at Plankton Portal. There have been so many awesome finds on the site and we picked 5 this week for you to check out. If you see something really neat on the portal than tag it with #FFF so we can check it out for use on the blog. Here we go! This is a stunning capture of a physonect siphonophore who seems to be waving hello to ISIIS as she passes by. Like all siphonophores, this guy here is a colonial organism comprised of many individual animals or ‘zooids.’ Each zooid is specialized and distinct, but work together so closely that they more resemble a single organism than a colony of animals. On display here are the branching tentacles used for foraging and the swimming bells that resemble a corncob. This one is a stunner! This is a really neat capture of a lobate ctenophore (Ocyropsis maculata), showing off the feature that gives this guy his name. In this image you can see clearly the internal structure and the striated texture of his muscular, gelatinous body. 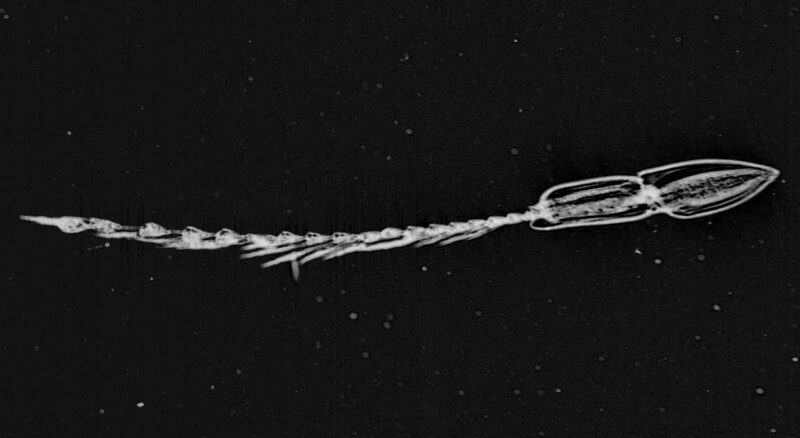 Lobate ctenophores swim lobes forwards by beating the ciliated comb rows situated on the opposite (aboral) end. The one depicted here would be swimming towards us and to the left. I wonder if larvacean is on the menu? Looks like an arrow shot by some undersea archer, right? Arrow worms, or chaetognaths, are carnivorous marine worms belonging to the Phylum Chaetognatha. They are notoriously ferocious predators that hunt other plankton with the help of hooked ‘grasping spines’ that flank the mouth. Chaetognaths have fins for propulsion and steering—you can see all of them really well in this capture! While these fins superficially resemble those of a fish, they are not related evolutionary and are structurally very different. I bet NASA would get a lot more funding if they built space shuttles that looked like this! 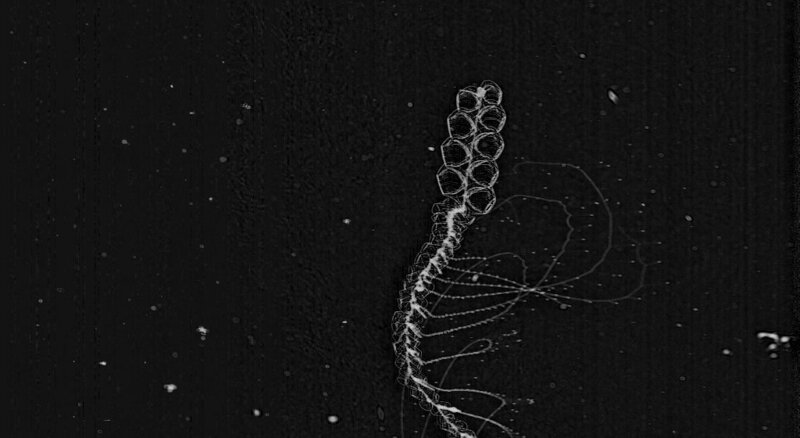 This beautiful capture of a siphonophore really looks to me like some sci-fi monster a (horrified) astronomer might see in a telescope! Don’t worry though, this guy is just a couple of cm’s long and probably couldn’t hurt you if he tried. Just like the physonect siphonophore above, this guy is a colonial organism and would therefore be more appropriately referred to as guys. The tail, or stem, on display here contains two developmental stages of siphonophore simultaneously—both the medusa and polyp stages. Unlike most cnidarians that alternate between these stages generationally, this guy chooses to have them coexist within the same colony. If you look closely you can see them bickering over who is the prettiest! 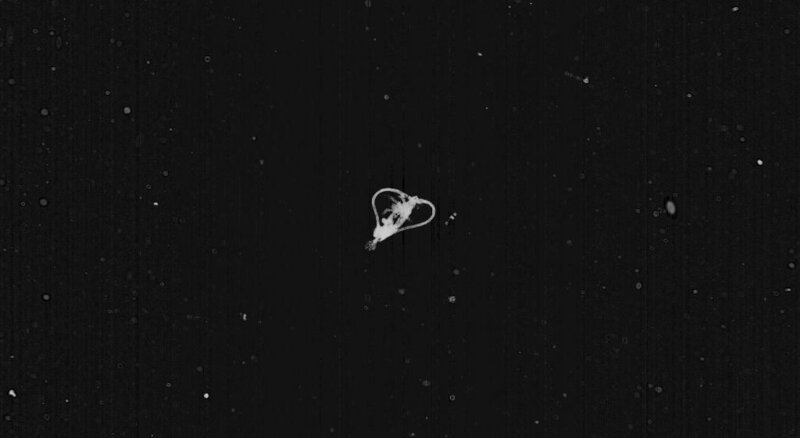 This copepod is making a heart with his antennae! Do you think he might be in love? There is some 13,000 species of copepod in the world and they are a crucial component of plankton communities and global ecology in general. It has been suggested that copepods may comprise the largest animal biomass on the planet! Many species of marine life, large and small, rely on these guys as their main food source, including whales and seabirds. Looks like this guy here is a lover not a fighter! Looking forward to next time ! 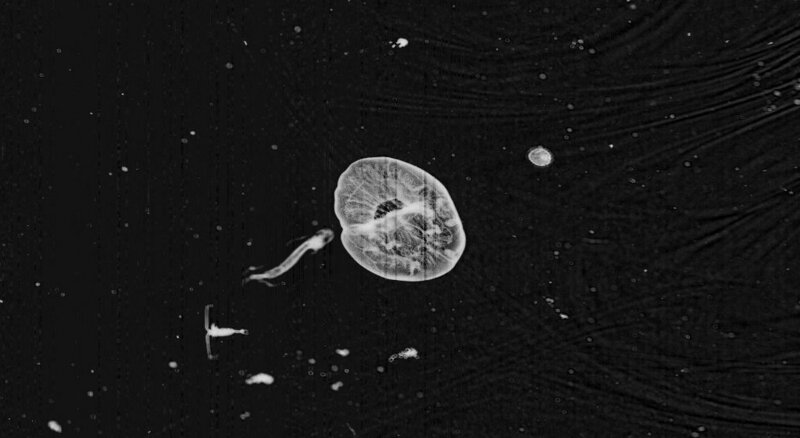 This entry was posted in Fantastic Finds and tagged Beautiful, Ben, Chaetognatha, Citizen Science, Cnidarian, Copepod, ctenophores, fantastic find fridays, FFF, ISIIS, jellyfish, plankton, plankton imaging, plankton portal, sipho, siphonophores by bgrassian. Bookmark the permalink.